Express yourself! I experimented with many ready- made forms before I came to the conclusion that to get what I wanted I would have to design my own. 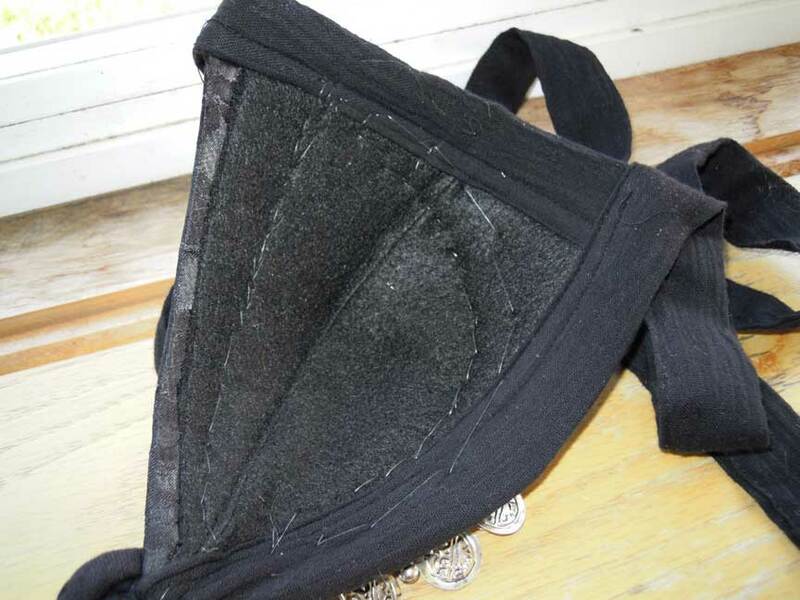 Here it is; Sturdy black brocade and buckram bra form; sewn, fused, and molded by yours truly. Easy to get a needle thru! Complete with adjustable ties, and adjustable center band. Just add coins and you are ready to dance! Includes sewing tips.
. click here for sizing info. Go to the Coin Bra info page for detailed info on Bra sizing, care and more!